Yashika Aannand is a young sensational Indian film actress known for her roles as Shruti in ‘Dhuruvangal Pathinaaru’ and as Kavya in ‘Iruttu Araiyil Murattu Kuththu.’ She has appeared as one of the contestants on the reality show, Bigg Boss Tamil Season 2 and the youngest contestant of the show. Yashika Aannand was born on the 4th of August 1999, in Chennai, Tamil Nadu, India. She’s currently 19 years old. As far as her education is concerned, Yashika attended Sherwood Hall School in Chennai. Yashika has kept her personal life under the wraps and thus there is not much information available of any relation she has had in the past or in the present. Yashika Aannand made her screen debut in 2016 with the neo-noir crime thriller film, ‘Dhuruvangal Pathinaaru’ for her role as Shruti. 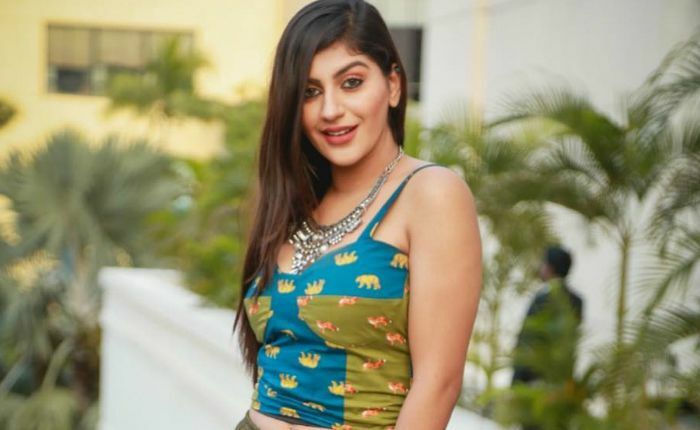 Yashika made her debut television appearance as a contestant on the reality show, ‘Bigg Boss Tamil season 2’ in 2018. Known for her starring role as Kavya in the 2018 adult comedy horror film ‘Iruttu Araiyil Murattu Kuththu’. She started her acting career with the film Kavalai Vendam in cameo appearance, portraying a role of a swimming instructor. In 2017, she turned down the offer to participate in the first season of the Tamil reality show Bigg Boss to focus on her acting career. She considers herself a bold and outspoken person. She was largely criticized for playing one of the lead characters in the adult film IAMK, but she denied the claims saying that a film industry should have a variety of genres including the adult films. Additionally, she also said that she is conformable doing glamour roles. Yashika caught up in a few controversies post the release of IAMK film when she pointed out that girls too can lose virginity before marriage similar to men. In 2018, Yashika revealed that she was sexually harassed by a film director as a part of #MeToo campaign, but didn’t reveal his identity.